For its first major production, Productions Opera Concept M.P. chose to revisit a masterpiece of the British progressive rock of the '70. 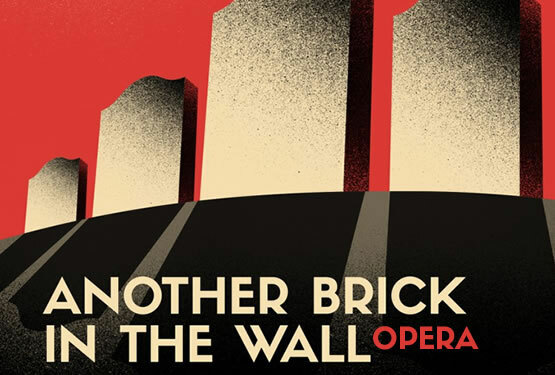 This timeless work is now offered in operatic version with 8 soloists, 48 chorus-singers, 71 musicians, 21 extras, and the exceptional creative team gave a quite new dimension to the work of Roger Waters. The Productions Opera Concept MP Inc aim at setting up innovative, contemporary and multidisciplinary projects in the field of opera. Productions Opera Concept MP aim at setting up innovative, contemporary and multidisciplinary projects in the field of opera. The meeting of rock and opera is natural in this beginning of century when the various forms of performing art converge, and Productions Opera Concept M.P. are the first lyric producer to propose the meeting of rock’n’roll and the operatic works and wanting to immortalize a work stemming from this marriage of the kinds. The new dimension which we bring is to recompose the music as a real opera, keeping the original melodic lines, and not only making a symphonic musical arrangement. Stemming from the theater environment where he worked during more than twenty years, Pierre Dufour enters the Montreal Opera in 2000 as production manager. Assuming the temporary head office from 2002 till 2003, he was nominated General Manager in August, 2006 besides his functions of production manager which he assures until 2013. He maintained, over the years, and developed his network of contact in the the opera field not only in North America, but also in Europe where he was the first managing director of the company to be a panelist invited to the annual congress of Opera Europa. He managed more than 100 theatrical productions, sixty operatic productions including world premieres, co-productions and three musicals. Experienced financial and administrative manager in the art field since almost 20 years, she began her career in the cultural environment in 1996 at Ulysse Publishing. She participated in the creation of The Productions Libretto, producer of musical theater, subsidiary of Spectra. In 2005 she participated in the restructuring of the Montreal Opera in 2006 and from 2013 till 2016, at the Grands Ballets Canadiens of Montreal, she participated, as financial and administrative manager, in the first union negotiation with the dancers and was in charge of the file of construction of the new house of dance Edifice Wilder: Espace Danse. Productions Opéra Concept MP Inc.
260, de Maisonneuve Blvd. W.